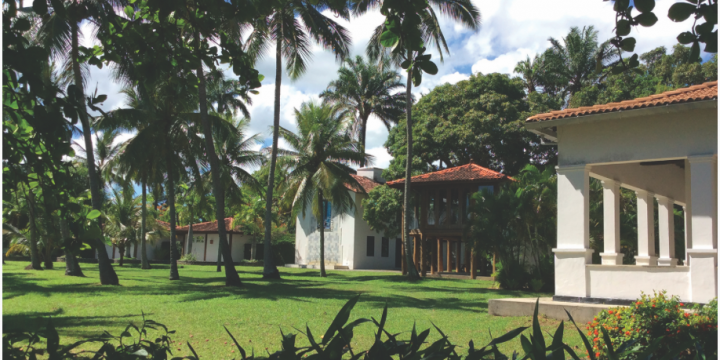 British Council Brazil and People’s Palace Projects are offering a year’s programme of three residencies for 3 UK based emerging artists in Brazil, produced by Casa Rio (PPP do Brasil’s artist residency space, Rio de Janeiro) to take place between September 2017 and April 2018. The first residency took place in September 2017 between Rio de Janeiro and the Ipatse village in the Xingu Indigenous Territory (Mato Grosso). It was offered in association with the Indigenous Association of the Kuikuro People in Xingu (AIKAX). The artist selected was Conrad Murray: actor, writer, director, rapper and beatboxer, drama teacher and founding member/facilitator for the last 9 years of theBAC Beatbox Academy. The second residency is scheduled for November 2017 at Casa Rio. The selected artist is director and theatre-maker Gemma Kerr: co-founder of High Hearted Theatre, Associate Director ofForward Theatre Project (an Associate Company of Paines Plough), and Associate Artist of Omnibus Clapham. The third and last residency in this programme will take place in April 2018 between Rio de Janeiro – where the selected artist will spend a few days at the beginning and at the end of the residency – and Itaparica, Bahia state (North East Brazil) where he/she will spend a month. 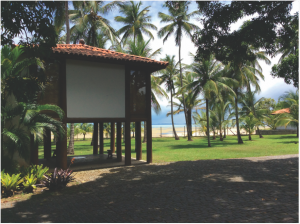 It will be offered in association with Instituto Sacatar, an ocean-side historic estate run by Sacatar Foundation which engages with individuals, community organizations, schools, museums, libraries, and other cultural organizations to present public programmes, performances, and educational opportunities locally within Bahia and around the world. The aim of this programme is to encourage artists interested in pursuing cultural projects with a social focus. Artists from all artistic disciplines (installation, video art, sculpture, electronic music, painting, drawing, performance, photography, net art etc.) are invited to send a short proposal (see below for further details). Participating artists are expected to be open to work with others. Sacatar’s team will introduce the selected artist to a range of possible partners in Itaparica in order to help develop the project he/she aims to create during the residency. At the end of the residency, there will be a public sharing of the result of the month’s work and the collaborations at Casa Rio. a link to your website, online portfolio, YouTube channel, or any other. A text (no more than 500 words) describing why you want to undertake this residency and how it relates to your current practice or plans for the future. You must not be a full-time student and need to demonstrate 3 years of practice away from higher education or other training. However, if you are a very well established artist, this will not be the ideal residency for you. Please bear in mind that one of the aims of the residency is to introduce emerging artists to Brazil and its rich culture. We therefore particularly welcome applications from artists who have notlived or stayed for any significant length of time in Brazil.If you have any special needs or requirements, please let us know. British Council Brazil and People’s Palace Projects are committed to making all opportunities accessible wherever possible. We will ensure that arrangements are in place to enable artists with disabilities to participate in the residencies.